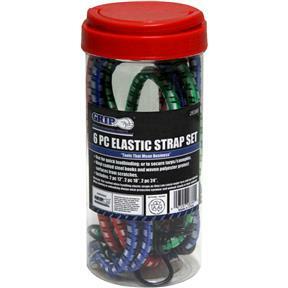 Use these straps for quick and convenient load binding. Vinyl coated steel hooks with weather and abrasion resistant woven polyester straps. Includes - 2 pc 12" straps, 2 pc 18" straps, 2 pc 24" straps.